Goodbye 2016, Hello 2017! Here's to a fresh start, new beginnings and updated goals! Goals...that is where today's quick post comes in. Every year, I like to spend the first day back from break checking in with the students and resetting our focus as a classroom and as individuals. 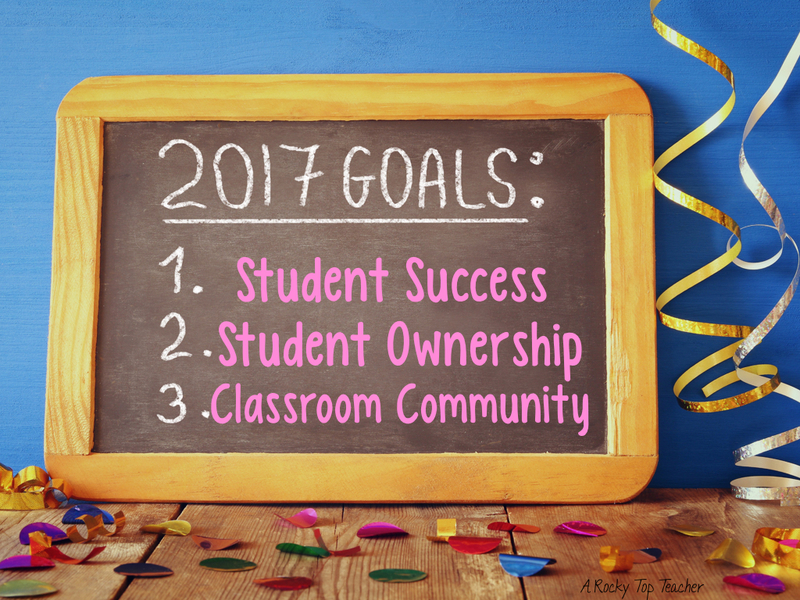 How are these goals going to help us be successful? Why will these goals help us climb to success? I use this activity as a springboard to the kickoff of the second half of our year for a couple of reasons. 1. Students are more focused. 2. Students better understand what they need and how to accomplish that. 3. Classroom community is stronger and there is more support. Today, both of our classes brainstormed a list of things that they wanted to focus on for the remainder of the school year. 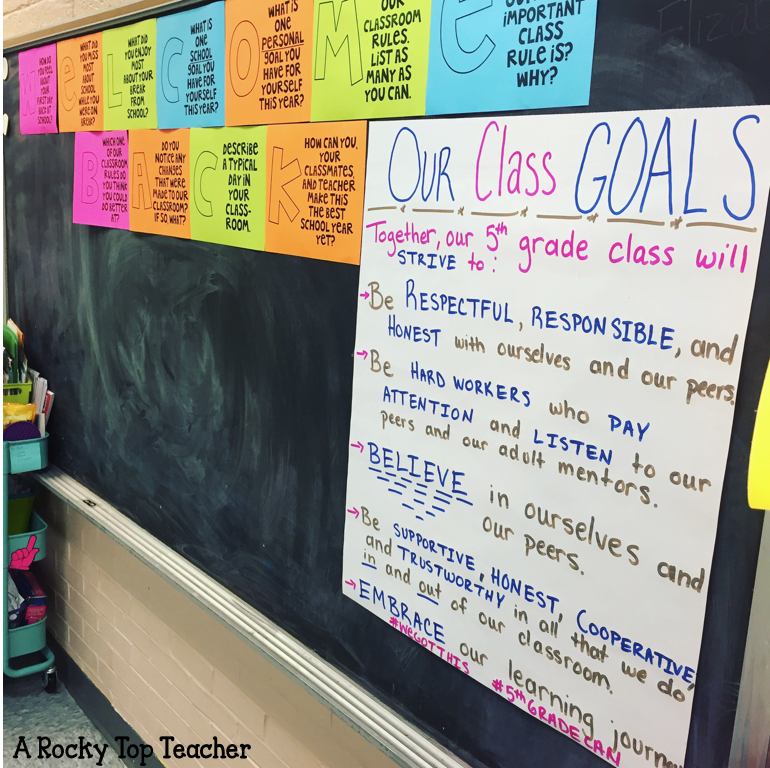 They thought about what they wanted to accomplish as a class and as individuals and then they chose what traits they could apply to help them met these goals. The words in BLUE are the traits and characteristics that they listed. The rest is how we brought our goals together. How does this truly help us? We refer to this often. 1. It is displayed in our classroom for all to see. 2. We read it together EVERY day in our morning/afternoon meetings. 3. We adjust it as needed. We know that it is a living, working document that can get changed as we need it to. The conversation, communication, and support is KEY to this, and I love watching our conversations and positive actions shape lives! What are your classroom goals?